Dame Ellen Patricia MacArthur is an English sailor, up until 2009, from Whatstandwell near Matlock in Derbyshire, now based in West Cowes, on the Isle of Wight. She is best known as a solo long-distance yachtswoman. On 7 February 2005 she broke the world record for the fastest solo circumnavigation of the globe, a feat which gained her international renown. Francis Joyon, the Frenchman who had held the record before MacArthur, recovered the record again in early 2008, besting MacArthur's record by nearly two weeks. Following her retirement from professional sailing on 2 September 2010, Ellen announced the launch of the Ellen MacArthur Foundation, a charity set up to inspire people to re-think, re-design and build a sustainable future. 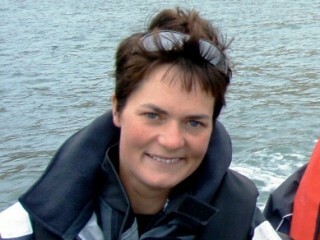 View the full website biography of Ellen MacArthur.